The Intel Core i7-3920XM is the fastest quad-core processor for laptops based on the Ivy Bridge architecture at the time of introduction in April 2012. Due to Hyperthreading, the four cores can handle up to eight threads in parallel leading to better utilization of the CPU. Each core offers a base speed of 2.9 GHz but can dynamically increase clock rates with Turbo Boost up to 3.6 GHz (for 4 active cores), 3.7 GHz (for 2 active cores) and 3.8 GHz (for 1 active core). Furthermore, the Extreme CPUs offer an unlocked multiplicator for easy overclocking. The performance of the Core i7-3920XM is slightly (~5 %) above a similarly clocked Sandy Bridge processor due to slight architectural improvements. Therefore, and because of the higher clock speed, the former champion Core i7-2960XM is easily outperformed by 10 to 15%. The integrated Intel HD Graphics 4000 offers 16 Execution Units (EUs) clocked at 650 MHz up to 1300 MHz with Turbo Boost, making it the fastest variant. The XM CPUs are rated at a TDP of 55 Watts including graphics card and memory controller and therefore 10 Watt higher than the other quad-core models. Therefore, the CPU is well-suited for laptops 17-inches or greater. The Intel Core i7-3632QM is a fast quad-core processor for laptops based on the Ivy Bridge architecture and successor of the i7-3612QM. It is the fastest mobile processor rated at 35 Watt (at the time of announcement in Q3 2012). Due to Hyperthreading, the four cores can handle up to eight threads in parallel leading to better utilization of the CPU. Each core offers a base speed of 2.2 GHz but can dynamically increase clock rates with Turbo Boost up to 2.9 GHz (for 4 active cores), 3.1 GHz (for 2 active cores) and 3.2 GHz (for 1 active core). Compared to other quad core CPUs, the 3632QM is specified at a TDP of only 35 Watt (similar to the dual-core CPUs). The BGA version (that is directly soldered to the mainboard) supports VT-d virtualization, whereas the rPGA version does not. Both don't support vPro and Trusted Execution, but otherwise all Ivy Bridge features like AES or VT-x are useable. The performance of the Core i7-3632QM is slightly above a similarly clocked Sandy Bridge processor due to the architectural improvements. As a result, overall performance is slightly above the Sandy Bridge Core i7-2820QM. Altough the 3632QM has a higher model number than the 3630QM, it offers slower clock rates and therefore performs worse. However, the 3630QM is specified at a much higher TDP of 45 Watt. The integrated Intel HD Graphics 4000 offers 16 Execution Units (EUs) and is clocked at 650 MHz (base) up to 1150 MHz (Turbo Boost). 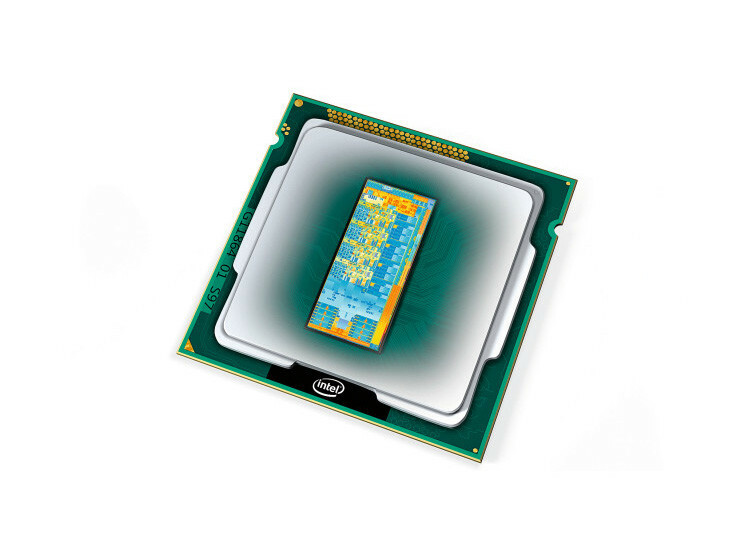 With a TDP of only 35 Watt, the Core i7-3632QM is specified at the level of the dual-core mobile CPUs. Therefore, even smaller laptops can use the Core i7. 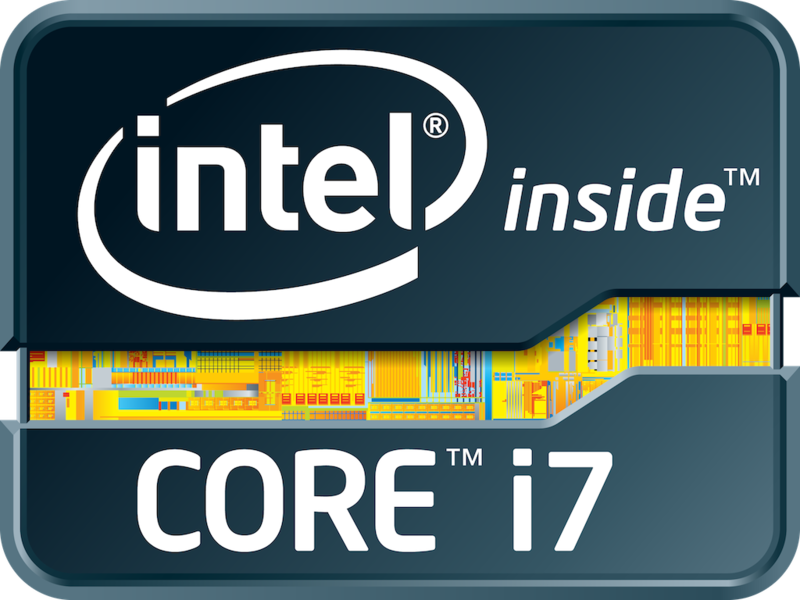 The Intel Core i7-3687U is the fastest ULV-processor for laptops based on the Ivy Bridge architecture at the time of introduction in Q1 2013. Due to Hyperthreading, the two cores can handle up to four threads in parallel leading to better utilization of the CPU. Each core offers a base speed of 2.1 GHz but can dynamically increase clock rates with Turbo Boost up to 3.1 GHz (for 2 active cores) and 3.3 GHz (for 1 active core). As its Sandy-Bridge-based predecessors, it offers a 4 MB L3-Cache. The performance of the Core i7-3687U is slightly above a similarly clocked Sandy Bridge processor due to the architectural improvements. Therefore, and because of the higher clock speed, the old Core i7-2677M is easily outperformed.